I hadn't taken the time to put away our holiday cards until today but boy am I glad I put that off. A friend of mine recently posted on Facebook that she had hole punched all her cards, added a cover, and connected them using binder rings. I loved the idea but then put my own spins on the project. I started by finding the longest and widest cards in our collection and cut two pieces of cardboard to about 1/4 inch larger (height and width) than those measurements. Then I covered the front in this pretty brown scrapbooking paper and the back in some metallic tan colored paper that coordinated nicely with the printed stitching on the cover. I also laminated two copies of our Christmas card from this year and attached one using foam tape to the front of the book. 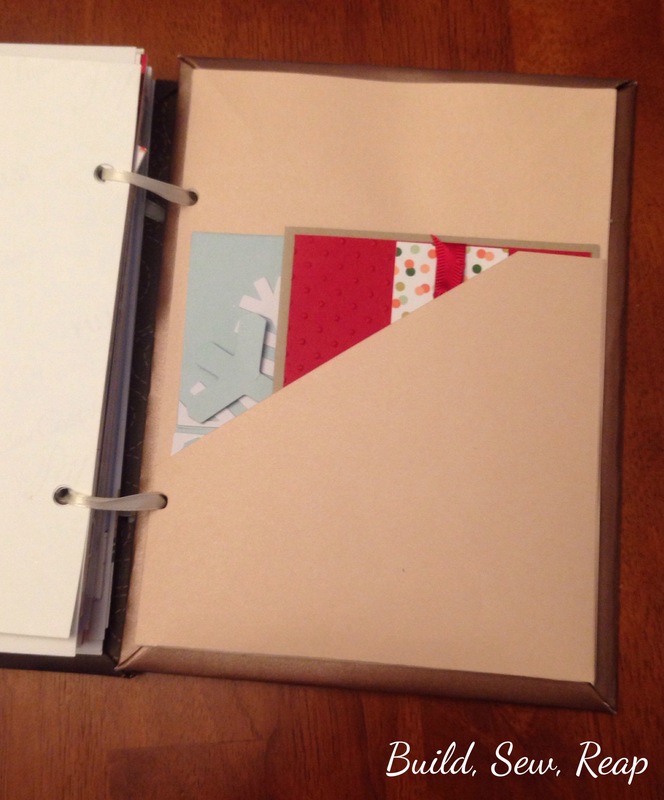 I didn't stick it in the very center so that I'd have ample space for the binding holes. 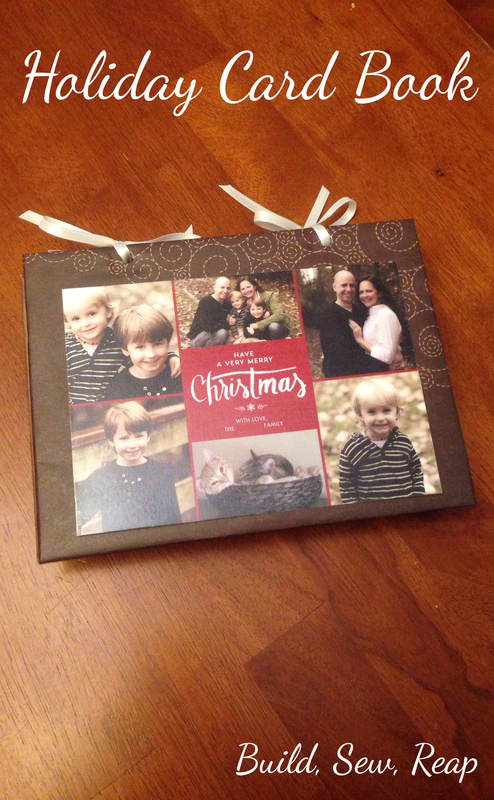 Next I attached the flip side of our Christmas card to the inside of the front cover. If you didn't do a 2-sided card, you can just cut out a rectangle of coordinating paper to cover the seams of the paper from the front. 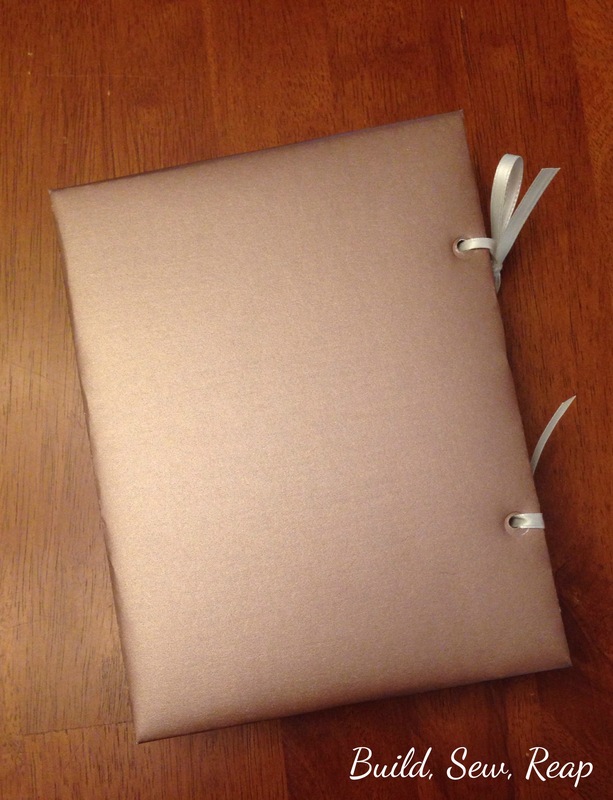 You can now also see that the book can lay flat with the ribbon binding I added. A couple of our friends made beautiful handmade cards so I added a pocket to the back. There was no way I was going to hole punch these treasures. The back cover on mine is plain but I like it this way. I used my 3-hole puncher to make holes in each card, being careful to center the card in the the top two slots. I was able to shove my front cover into the hole puncher but the back cover was too thick with the pocket added in. I actually used my leather punch tool to get through all those layers. I love how it turned out and will enjoy looking through the cards year-round. In the past we have left the cards out for a long time to let the kids revisit them. We have a lot of friends and family who aren't in our area so we like to look at their pictures and talk about who they are. I love that my kids are growing up knowing the faces of some of my grade school and high school friends' kids. I think I'm going to go find the heap of last year's cards that I never took care of. Sometimes it pays to push stuff to the side instead of dealing with it in a timely manner. 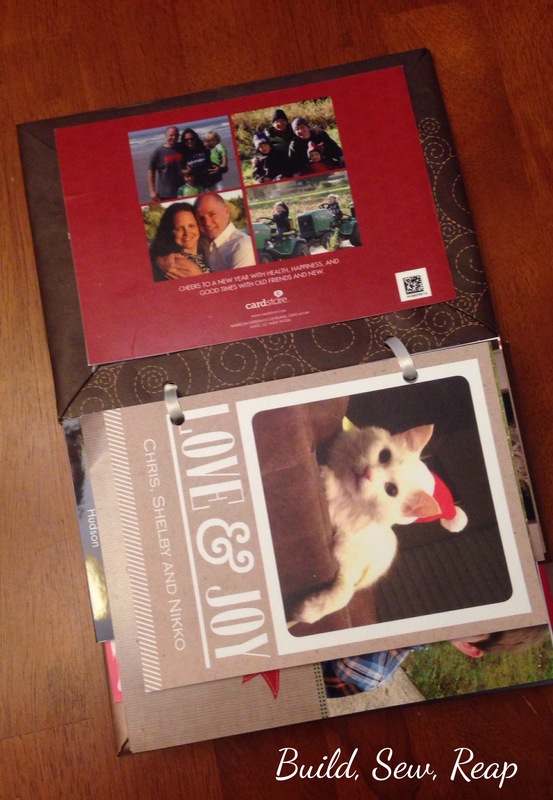 Do you save holiday cards? In the past, I've also used the non-photo ones to make bookmarks.